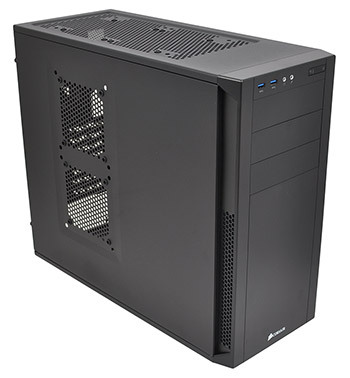 Meet the Corsair Carbide Series 200R. It costs £50, making it Corsair's most-affordable enclosure, and in the manufacturer's own words, it's "designed for easy builds." The idea, it seems, is to offer a chassis that's well within most budgets and quick to build into. The Carbide 200R has so many tool-free elements that Corsair claims "the only time you’ll need to pick up a screwdriver is to install the motherboard." 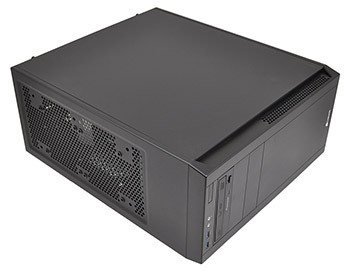 Cheap and easy to work with is a great place to start, but as we've seen in other affordable solutions, sub-£50 chassis can be used to accommodate some seriously high-end hardware. And, let's face it, saving £100 on the enclosure and putting it toward an ultra-fast SSD will make a lot of sense for a lot of people. So what do you get for the small outlay? 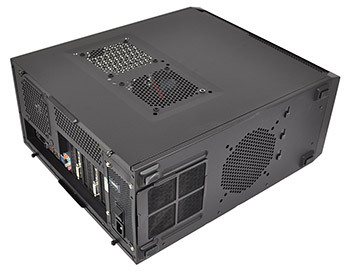 Well, from the outside, the Carbide 200R doesn't look like much. It's Corsair's most simple design to date, but that's probably a good thing. Affordable cases often make the mistake of trying to look more expensive than they really are, resulting in awkward bulges, weird colours and one too many plastic accessories. Instead, Corsair has taken a relaxed approach; the mid-tower 200R is black throughout, it's a standard size at 430mm x 210mm x 497mm, the steel body is finished with a plastic front face, and, except for the slim mesh vents up front, there isn't anything particularly eye-catching. It's a simple, sleek black box. Build quality, considering the price, is actually quite good. The steel material isn't the thickest, but the chassis still feels strong and the side panels are pleasantly rigid. Corsair's black paintwork provides a clean-looking finish, both inside and out, and, while other budget enclosures skimp by using silver screws, it's good to know that the 200R's bundled screws and accessories are all black. 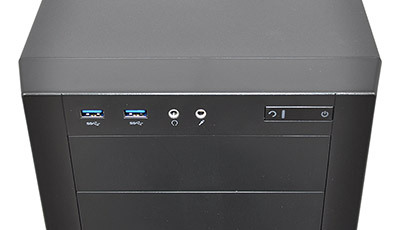 The goal for any budget enclosure should be to get the simple things right, so Corsair's sparse I/O panel has only the basics; two USB 3.0 ports, headset and microphone jacks, as well as a power and reset rocker switch - don't worry, there's enough separation between the two to prevent accidental resets. However, we'd liked to have seen a sleeker implementation. The blue USB ports and the shiny silver audio jacks aren't in keeping with the rest of the enclosure, and the silver in particular provides too big a contrast. 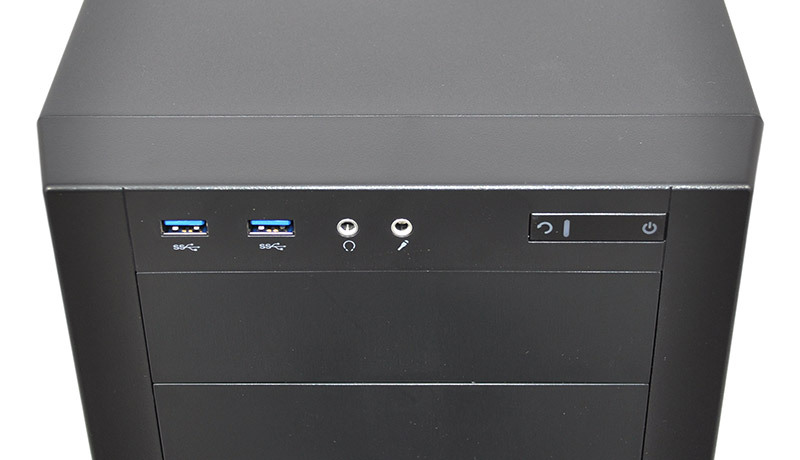 Worth noting, also, that the USB 3.0 ports use an onboard connector, and Corsair doesn't bundle an adaptor for users with USB 2.0 motherboards. Still, we're nitpicking, and what's more important is that Corsair has maintained a comprehensive specification. 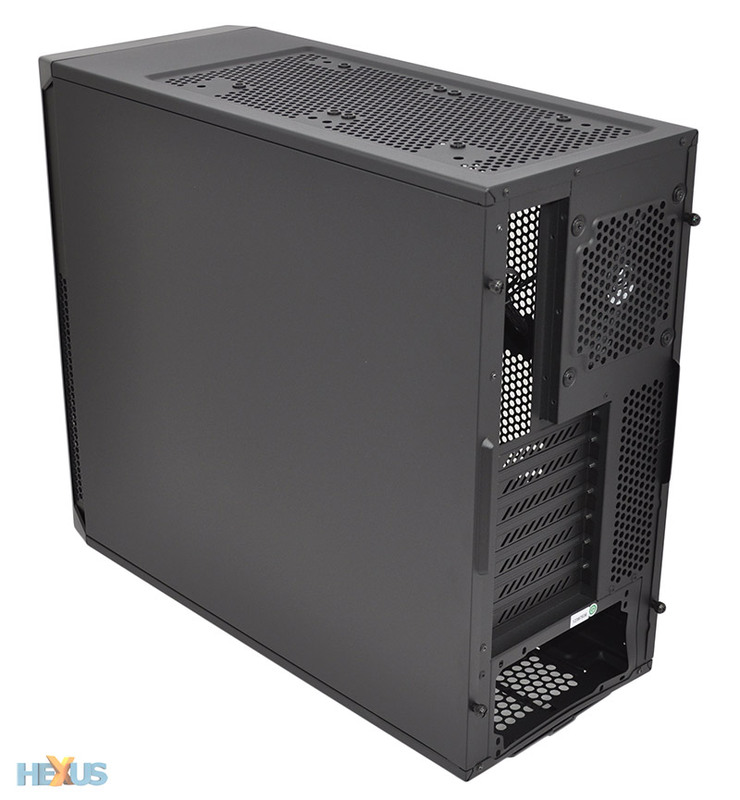 Seven expansion slots provide room for multi-GPU configurations (it helps that cards measuring up to 320mm are supported), three external drive bays provide ample 5.25in coverage, and the internal storage configuration is excellent, too. In addition to supporting four 3.5in hard disks, the Carbide 200R has a further four mounts designed specifically for solid-state drives. More on that later. As with just about every Corsair chassis thus far, the 200R isn't lacking in cooling potential. Two fans are included as part of the bundle - a 120mm front intake and a 120mm rear exhaust - but if you want to go crazy, there's enough room to add half-a-dozen extra fans. We've already seen some interesting mods - including a 360mm radiator squeezed into the front of the chassis - and the low cost suggests that Corsair's latest could prove to be popular amongst the modding community. There's plenty on offer for £50, but of course some of the high-end features available to Corsair's premium options aren't included here. Rubber-grommeted cable routing holes, sound proofing, removable hard-disk cages, and built-in cable clamps are some of the niceties that haven't made the cut, but the Carbide 200R specification still has all the hallmarks of a good budget enclosure. 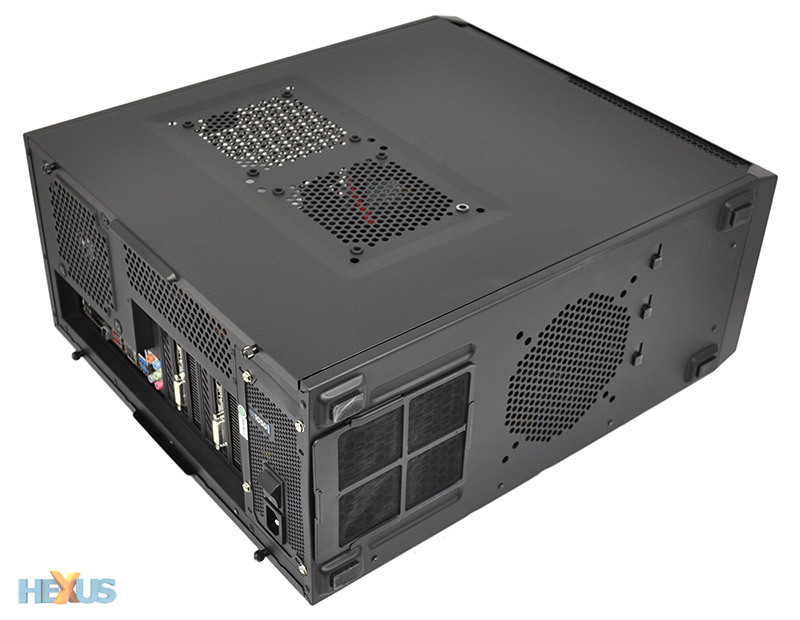 The chassis' well sized, it's simple-yet-smart in appearance, the bottom-mounted PSU area is accompanied by a pull-out dust filter, there's a bountiful supply of fan mounts and, as we're about to find out, ample room for a truly high-end build.